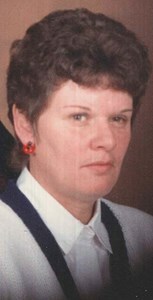 Joyce Lamphear, 69, of Kirkville, passed away April 7, 2019. Joyce was born in Syracuse, New York on May 14, 1949 to the late Leonard and Mildred Purdy. Joyce retired from Sunnyside Care Center, East Syracuse. In her free time she loved antiquing, garage sales, bingo, and spending time with her family. She is survived by her husband of 52 years, Harry Lamphear; three sons, James (Kim) Lamphear, Mark (Stella) Lamphear, Dale Lamphear; daughter, Shelly (Richard) Janack; step-son, Jeffrey Hilts; grandchildren, Kevin, Jessica, Shaun, Garrett "Woody", Tara, Debbie, Jeffrey, and Mckenzie; great-grandchildren, Adriana, and Jesse. Family and friends may call on Thursday, from 4pm-7pm at New Comer Cremations & Funerals, 705 N. Main St., North Syracuse, NY 13212 where funeral services will be held at 7pm. Memorial contributions may be made to National Kidney Foundation of CNY. To share a memory of Joyce or leave a special message for the family, please click the Share Memories button above. Add your memories to the guest book of Joyce Lamphear. I am so sorry to hear that Joyce has passed. Joyce was a great person who would do anything for her family and friends. She had done so much for me, including great conversation and many laughs. She will be missed by many. Harry and all her family are in my thoughts and prayers. I will miss you my friend. 63 yrs. is a long time to be friends with someone so special. Joyce and me have a lot of crazy memories. With a heavy heart sending my condolences to Uncle Harry and all the kids. I will remember you forever with love and gratitude for always being there for me. I will treasure forever lots of memories and fun times. My Mom went before you last Sunday and she ( and my Dad) will be waiting to welcome you . You will be missed greatly by many. Thoughts and prayers . I love you. I was so sorry to hear that Joyce had passed away . She was so kind and helped me out in so many ways when things were difficult for me i will never forget that . She will be missed and i just want to say my thoughts and prayers are with the family . My condolences to the whole Lamphear family.